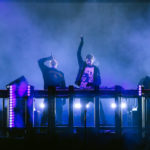 Country and electronic music aren’t the first two genres we would think to combine…however, The Chainsmokers performance alongside Florida Georgia Line for their song “Last Day Alive” — off the EDM duo’s debut LP — is making us rethink whether this should be something we should be seeing more of. Drew Taggart sang alongside Florida Georgia Line’s Tyler Hubbarb at the CMT Awards, and their high energy performance has been shared for all to see. Although this is not the first time The Chainsmokers have performed alongside Florida Georgia Line, this was the first time an electronic music group has performed at the CMT Awards. 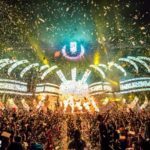 Florida Georgia line tweeted about their performance with The Chainsmokers, which received positive sentiments from the crowd.